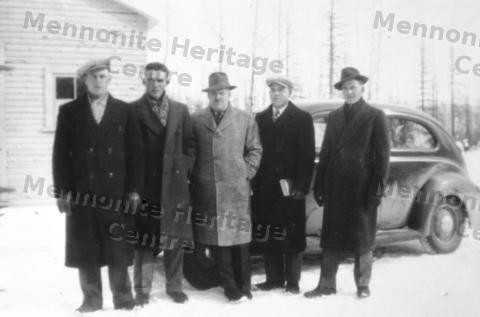 This photo shows a five men (a quartet and preacher) standing in front of a car. They are all wearing long over-coats. Included on the photo are Jacob Mierau and Peter G. Sawatzky (Herschel).